What does the brand Rawling say to you? 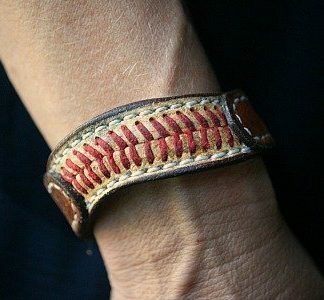 Well… We got some talking to do… Do you have some Rawling baseball glove leather, just sitting around? I mean, you can’t really use it, but you can’t throw it away, either. It’s special. 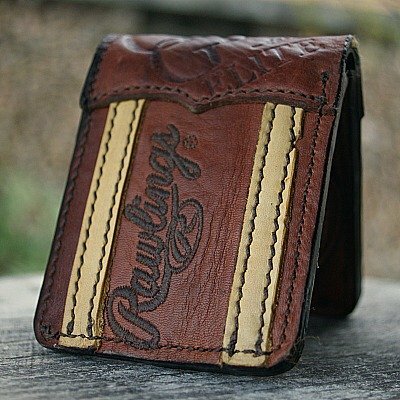 Check out this beautiful bi fold wallet, made from Rawling Baseball glove leather! Impress your friends! 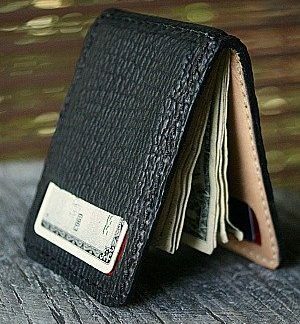 This wallet is custom. Yep. 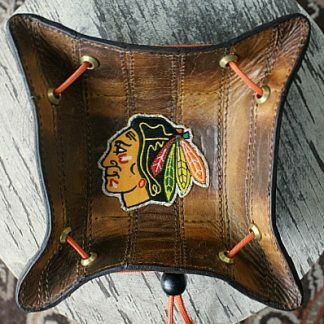 We made it from someone’s actual old Rawling baseball glove. Want to see what we can do for you? Send us your glove! We’ll really wow you. Guaranteed. Maybe you’re a dad and know how special that Rawling baseball glove was to your son. His birthday coming up? Make him a memory. Or, maybe you want to keep it or get one for yourself. We do it all. Yep.